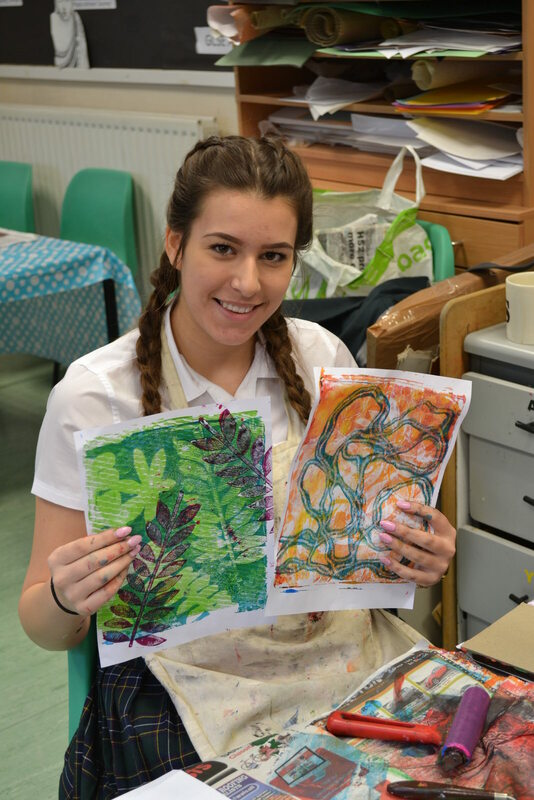 Thank you to local artist Deborah Turner who held a Batik Gelli workshop for pupils in Year 10 and Year 11. The pupils spent the morning learning about Batik Gelli – an Indonesian inspired technique of decorating cloth using hot wax and dye. They were then able to try out a variety of tools, including brushes and tjantings to draw and make expressive marks with wax. Deborah was very impressed with their stunning collection of designs! Check out the gallery of images from the workshop here.